Finely chop the fresh basil and parsley. In a large mixing bowl, whisk together the olive oil, red wine vinegar, fresh basil and parsley, minced garlic, and salt. Shake well to create a vinaigrette marinade. Place the chicken into baking dish or plastic baggie and pour the marinade over the top. Cover with plastic wrap or seal, and marinate in the fridge overnight. Heat the grill and add the chicken breasts over the direct heat. Brush with the marinade and discard remaining marinade. Let cook for 4 to 5 minutes per side, then move over indirect heat and grill until cooked through. Slice before serving. 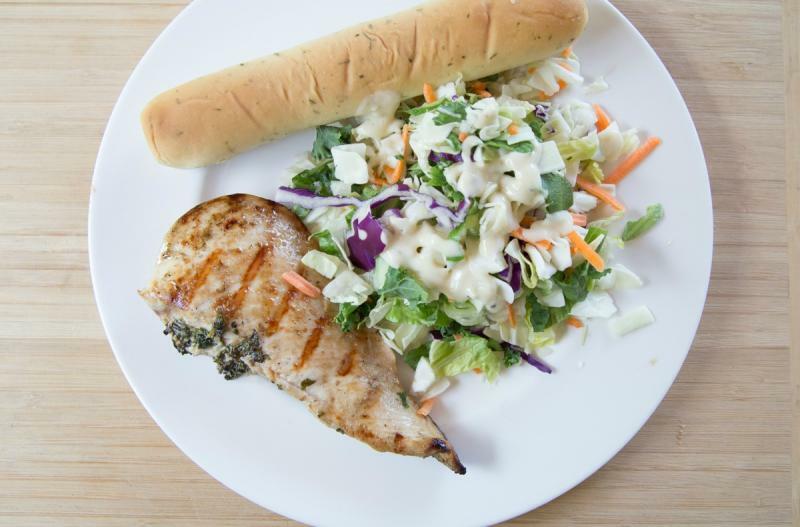 Serve Grilled Herbed Chicken with salad and garlic bread. In a large mixing bowl, whisk together 1/2 cup olive oil, 1/2 cup red wine vinegar, 8 Tbsp fresh basil and 8 Tbsp fresh parsley, 4 Tbsp minced garlic, and 2 tsp salt. Shake well into vinaigrette marinade. Put baggie in the freezer and freeze up to 6 months in fridge freezer or 12 months in a deep freezer. Thaw in the fridge overnight, or a warm bowl of water for about 20 minutes, before transferring to the grill and grilling as directed and until cooked through. Recipe is dairy-free when served with dairy-free sides and dairy-free butter on garlic bread. 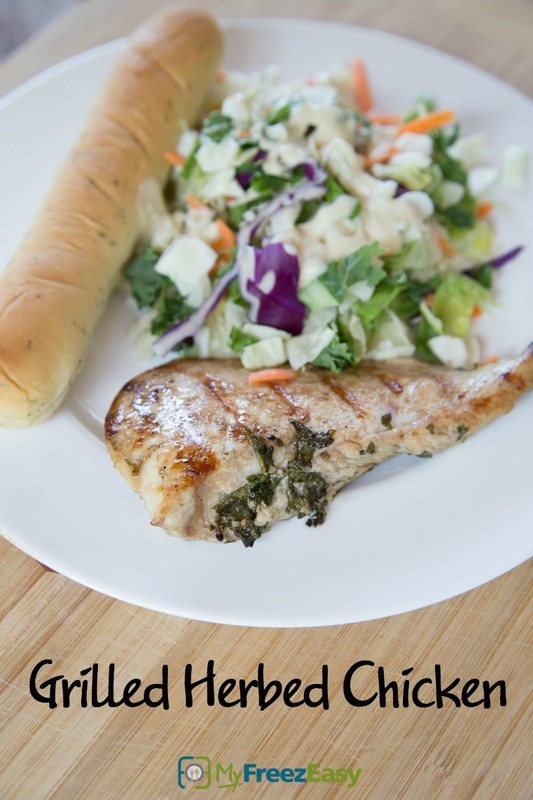 Recipe is gluten-free when served with gluten-free sides like grilled garlic GF sandwich bread or mashed potatoes. Thaw and cook on grill for 4 to 5 minutes per side, and then until cooked through. After adding to the grill, brush with marinade and then discard remaining marinade. Grill garlic bread, if desired.